My Glam Bag only arrived last week, and to be honest, I was a little underwhelmed this month by its contents. The bag itself, however, is super cute and I love it! This month’s bag was designed by Valfré – I really love this month’s bag! Onto the unbagging! This is a cruelty-free brand according to my research. This is a cruelty free brand according to my research. The softer side. Velvety texture glides onto lids. Add some sweetness. Creamy vanilla shade brightens. Double up on espresso. Deep brown-black creates the perfect lines. This brand seems to be cruelty free based on my research. Every girl’s dream. Whether we’re feeling like a Carrie, a Miranda, a Samantha or a Charlotte—this silky white amber scent is just our type. Feminine and a bit fantastic. Goes from office hours to after hours. Top notes of mandarin, bergamot and rosewood set a dreamy tone. Patchouli, cedarwood, white amber and orchid release the sultry side. The description sounds like a scent that I would love. But there is something about this fragrance that my nose does not like. I’ll be passing this one onto someone who will use it. Lips on lock. Creamy and lightweight formula glides on smoothly and leaves a long-lasting matte finish. Our go-to for a perfect pout. Belize Bordeaux is a lovely matte wine shade. I do find it to be a little drying, but still wearable with a bit of lip balm added once it starts to feel dry. Overall, this month’s bag was underwhelming for me. I am only excited about the bag itself and the Tatcha Cleansing Oil. The TrèStiQue Lip Crayon is ok, but the other three products (Ciaté Eyeliner, Lovely SJP Rollerball and Vintage by Jessica Liebeskind) will be passed on to someone who will use them. Were you happy with this month’s Ipsy Glam Bag? That cosmetic bag is too cute for words! It’s just too bad it was the only great item this month. True. But I’ll find loving homes for them! I’m excited about the facial oil, so I’m keeping that and the lip crayon. I loved the bag this month, too. Sorry you can’t use a bunch of stuff in yours (those black eyeliners! haha). I like the look of that Tatcha oil, though! Fingers crossed next month’s will be great! I’ll definitely be passing on most of it to someone. I cursed myself to get eyeliners for eternity, haha! You’d think they could get eyeliners that aren’t all the same color, at least! There was a gunmetal liquid liner from Nyx that looked interesting. But knowing me, I’d use it once or twice and then it would get neglected! Ooh interested to hear about the Tatch cleansing oil. I don’t like the brand but I’m curious about how the product performs. You’re right, the only other thing I like is the pouch itself! I’ve never tried anything from the brand. But after my self imposed testing new skincare break, I’ll be sure to,give it a good test and review it. Second photorejuvenation session is Friday afternoon! Eeee! Especially with the weather change, plus my session, I have to baby my skin! I guess you CAN have too many eyeliners! Sorry that you didn’t like your bag. I would be underwhelmed too. Maybe next month is better – usually bags closer to the holiday are good. How cute is your little devil! He’s my favourite part of this unboxing and he didn’t even come with the bag! Thanks, I think that it is from Pier 1 Imports. Someone gave it to me several years ago and I thought that it would make a good seasonal prop! He’s my favourite! Too adorable! I have so many black liners now! I think the bag was gorgeous too. I’d rather give them away than just not use them (or worse, throw them away). My mom loves getting surprise packages in the mail, so she might just get some of these ones! Lol very nice of you! But you are completely right. I did the same for a few items and gave them to my friend. This curated bag is beautiful! 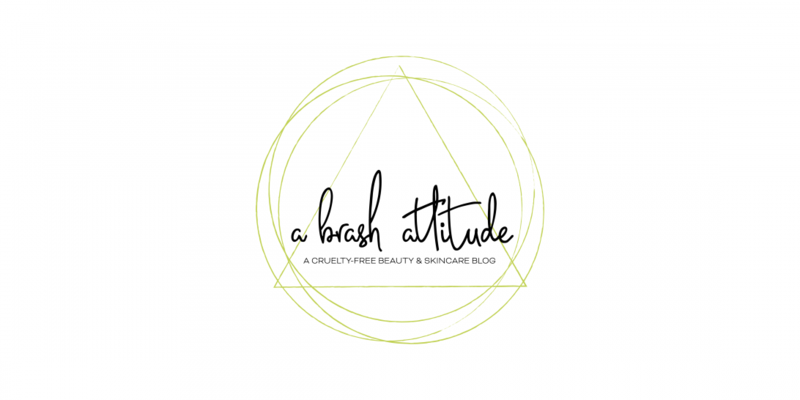 Do check your blog on skincare and let us know your thoughts on the same. I love the colour, but I found it to be a little drying. Still haven’t tried the camellia oil yet, but will get to try it soon!